There is a very, very, very, very, very, very, very, very, very, very, very, very, very, very, very, very, very, very, very, very, very, very, very, very, very, very, very, very, very, very, very, very, very, very, very, very, very, very, very, very, very, very, very, very, very, very, very, very, very, very, very, very, very, very, very, very, very, very, very, very, very, very, very, very, very, very, very, very, very, very, very, very, very, very, very, very, very, very, very, very, very, very, very, very, very, very, very, very, very, very, very, very, very, very, very, very, very, very, very, very, very, very, very, very, very, very, very, very, very big storm. Now, those of you who are familiar with my reviews will be aware that they always begin with a paragraph detailing the general plot of the film being reviewed. That was about all I can manage, with this one. Into the Storm, despite a hell of a lot of hype, premiered to pretty mixed reviews and a fairly lackluster box office haul. Whilst the former was predictable, a mediocre box office result for a film like this does prove interesting. This has the makings of a huge summer blockbuster; it's loaded with visual effects and it's not particularly innovative. Into the Storm is basically 2012, just without the whole "end of the world" thing. Thankfully, though, it is in fact better than 2012. But, then again, what isn't? As to be expected, the special effects here are extraordinary. Despite taking far too long into its already lean running time for anything storm related to actually happen, once the goods arrive, they come in full force. What I liked here is that there is no gradual build-up. We start with a heavy downpour of the biggest hailstones you've ever seen, then we're immediately thrown into a frenzy of tornadoes and wind storms. This is a risky move, which I also appreciated (risk is something that's been lacking in this summer's cinema), but it pays off. Despite coming in all guns blazing relatively early on, the film still manages to keep picking up in both speed and tension in order to build to a satisfying crescendo. Into the Storm's final act is by far the tensest part of the film, which is exactly how it should be. But it only just about gets away with it. Despite the onslaught of effects and destruction, Into the Storm is so lackluster in almost every other effort that you'll be hard-pressed to find anything anything else to praise at all. The film spends its first 15 minutes introducing us to about ten characters, all of whom are increasingly irritating and poorly drawn. Besides meteorologist Allison (who is actually interesting with a back story you sort of want to hear more about), you just want every character to be sucked up into the tornado, never to be seen again. But, regrettably, that very rarely happens. The main characters we follow are a father and his sons, but each of their scenes before the storm hits are spent with them arguing and shouting at each other. So many filmmakers these days seem to think arguments are a foolproof method of strong character development, but they aren''t. It just makes us hate these characters and not care whether they live or die, especially in a film of this style. Also, the "bad guy" of the main crew spends every minute of his screen-time declaring his hatred for people and that his sole purpose is to film the storm. Fair enough, that's an interesting character to have, but it doesn't work for him to then suddenly embark on a heroic trip to save everyone when nothing has really happened to sway his mind. The whole scene felt so out of character, it felt too much like a cheat to keep things moving. Another thing that annoyed me, here, is the number of missed opportunities. The film opens with the two boys being forced by their father to film a time capsule for themselves and their classmates. I personally think a time capsule was a fantastic idea to open a found-footage disaster film with. The concept of talking about where these people would be in 25 years time, then wondering if they would even make it to the designated years has such weight for emotional availability. But when it comes entirely from their father forcing them to do it, it loses every chance of emotion and, like almost everything here, just winds up as annoying and fake. And whilst the idea of a found-footage disaster movie may work on paper, you can't help but think that half of the CCTV cameras we watch from would've been ripped from the walls by now. And if you thought the whole "drop the camera and run!" criticism was annoying in the Paranormal Activity series, it's at a whole new level, here. You just wouldn't keep filming. Into the Storm is not quite a disaster, but it's far from a good film. Visually, the film is as strong as you'd expect. But everything else is a bit of a mess. The characters are badly developed, the plot is almost non-existent, and the film tries far too hard to be something it isn't. One film I really admire is Guillermo Del Toro's Pacific Rim. It is, essentially, big monsters fighting big robots, and Del Toro didn't try to make it anything more. He wrote interesting characters and gave us a perfect amount of plot, but kept the true meaning of the film plain and simple. Into the Storm is a film about storms and tornadoes, but they tried too hard to make it about the characters that it didn't work. It takes far too long to get there (especially in a film of just 85 minutes), and it even calms itself down for another fifteen minutes in the middle to attempt to "develop" the characters some more. Yet, they're still all as weightless as they were when the film began. The effects are fantastic, and it does manage to rack up a few pretty exciting sequences. But beyond that, there's little here to see. 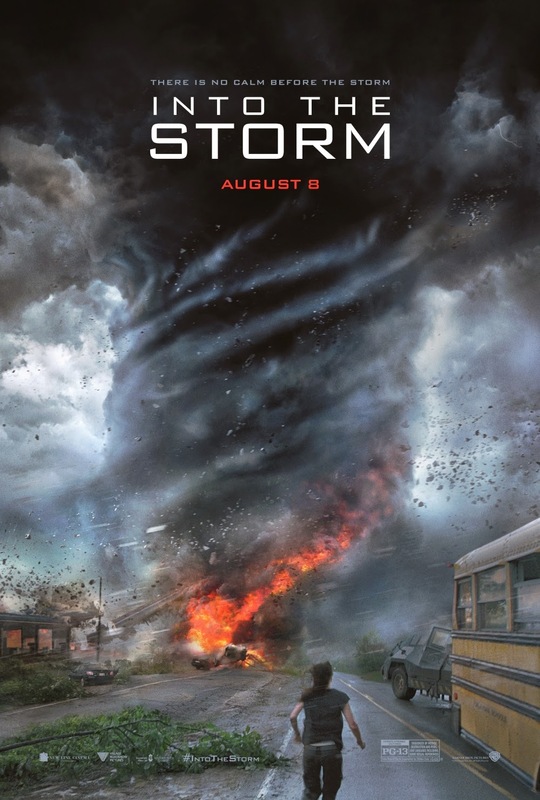 To Summarise: Besides the astonishing special effects and occasionally well crafted action sequences, Into the Storm lacks any other form of coherency, making it not far from a disastrous disaster movie.